12" Tall. 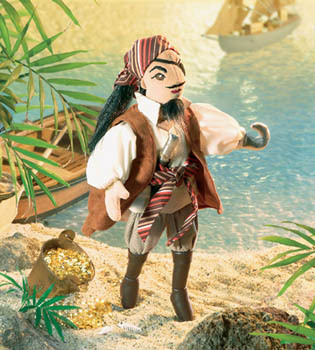 This Swashbuckling Pirate puppet features realistic details and allows for full-hand animation from the inside. Workable head and hands.